Teak wood has an excellent reputation among manufacturers, dealers and consumers as a material for garden furniture. 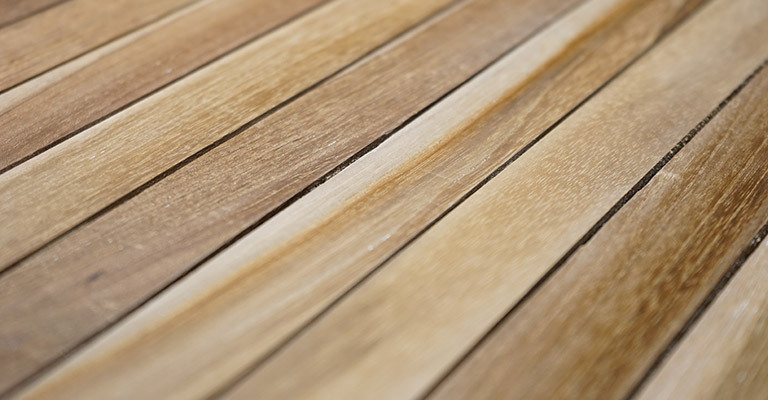 The combination of its wonderfully natural look and tremendous weather resistance have made teak wood the most popular raw material for garden, terrace and balcony furniture. Teak wood at Ploß® is versatile and offers the right furniture for every look or taste: polished surfaces produce the classic teak look, brushing creates a robust, rough finish, and sand-blasting leads to a warm honey-coloured hue. Teak is the preferred material for garden, terrace and balcony furniture, not only among consumers and customers, but also among manufacturers and retailers. Furniture made of teak is particularly durable, enduring and weatherproof, and at the same time has a timeless look that harmonises well with a verdant garden landscape. Furniture made of teak offers all the properties that are essential in garden furniture: when furniture stands outdoors, it must be particularly robust and withstand the elements, while at the same time looking attractive and natural. If you are looking for furniture, and in particular garden furniture, that is made of high-quality and at the same time robust solid wood, then teak garden furniture is just the thing for you. Teak is characterised by at golden-brown wood look and distinctive grain. This colour makes teak furniture look very warm and natural to begin with. When teak wood is left untreated, it changes is colour over time due to the regional weather conditions, turning pale grey – known as a “patina” – which also harmonises excellently with garden flora. 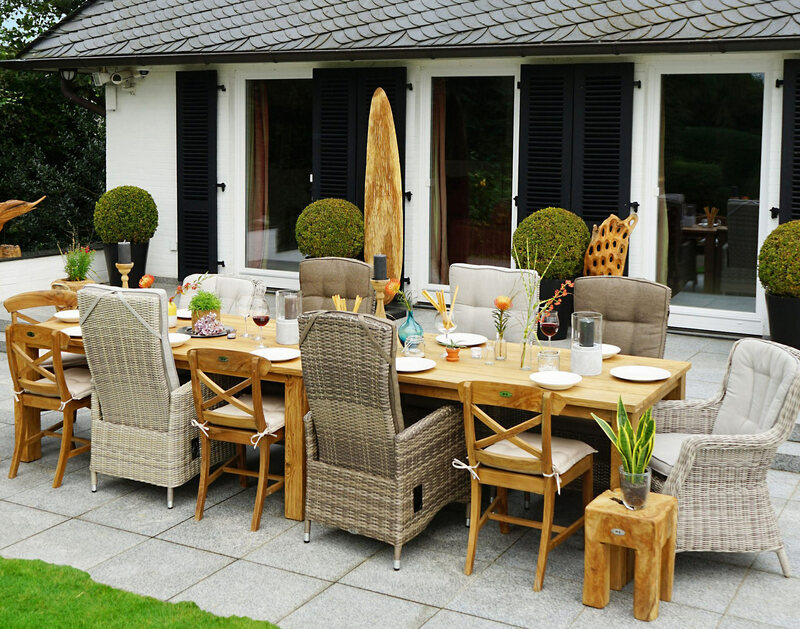 If you do not want the colour to change, you can also buy teak furniture with special weather protection, such as “Ploß® Transparent Weather Protection”, which will maintain its original golden-brown colour. Ploß® garden furniture takes precise account of your individual expectations and uses the versatility of teak furniture to deliver the right look: from treated and untreated furniture, pronounced or more subtle grain, through to individually finished wooden surfaces, teak furniture can be adjusted to meet your wishes. Depending on how it has been treated, wooden furniture can simply be polished to achieve the classical look, brushed for a robust finish, or sand-blasted to produce a golden-brown, warm hue. Teak wood comes from teak trees, whose Latin name is “Tectona grandis”, which originally come from the tropical rainforests, or more specifically the monsoon forests, of Asia. Trees in rainforests typically have very long trunks and their crown begins very high up. Teak trees can reach heights of up to 35 metres and are characterised by the fact that their trunks are free of side branches over a length of almost 25 metres. The structure of the wood itself is very even. The high density of approx. 0.75 grams per cubic centimetre, lends teak wood its characteristic high robustness and rigidity, as well as its low flammability. In view of their size and the high average temperatures and rainfall in the region, rainforest trees have a particularly high stability. This means teak wood exhibits very high compressive strength, tensile strength and bending strength in order to cope with the properties of its environment. Once a year, between June and September, the tree flowers and produces brownish, spherical stone fruit, about one centimetre in diameter. The heartwood of the teak tree is yellow to dark brown in colour and sometimes contains dark brown to black stripes (black-striped teak) due to certain phytochemical deposits. As a rule, the wood is straight-grained. Looking at the wood in cross section, different zones can be distinguished in the grain, corresponding to different periods of growth. 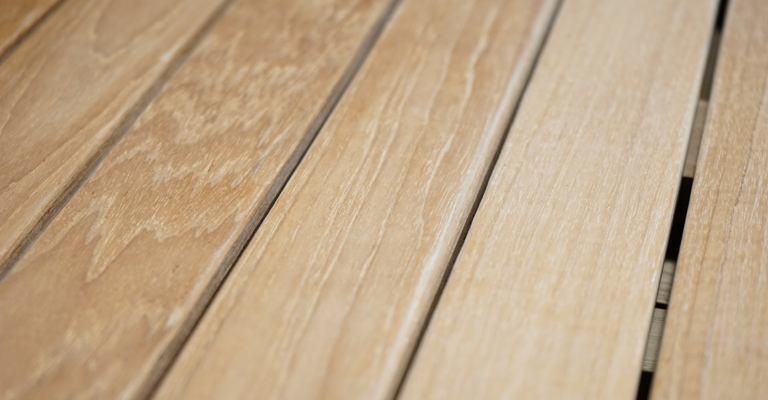 Thanks to its particularly high caoutchouc content, teak wood has an oily consistency which is responsible for its robust, acid-resistant and water-repellent properties. Additional phytochemicals make it naturally resistant to fungal infestation and insects. Teak trees are mainly used for their wood: this can be worked well, dries without tearing or warping, and is sightly and weatherproof thanks to its oils, even without further treatment. Because of its high oil and caoutchouc content, the wood should only be treated using special and natural oils, such as teak oil. This will preserve its typical wood look. Furniture made of teak wood will last an extremely long time, even when it receives little or no special care. This is due to the combination of naturally occurring oils and minerals, the robust properties of the wood and its resistance to pests. Untreated furniture will develop a “patina” over time, a pale grey discolouration of the wood. Superficial soiling may be removed by rubbing off this layer once a year using a pan scrubber or a soft brush and warm water. A lustrous dark silver hue will emerge, giving the furniture a particularly classy and timeless look. If you prefer the wood look, you can rub down your teak furniture once a year with natural teak oil. The wood ought to be dry and clean before applying the oil. If the furniture is already grey, carefully remove the top layer with a teak cleaner or sandpaper before applying the oil. Untreated teak furniture can remain outdoors in the winter. Treated furniture (oiled teak) should preferably be kept under a roof or cover. 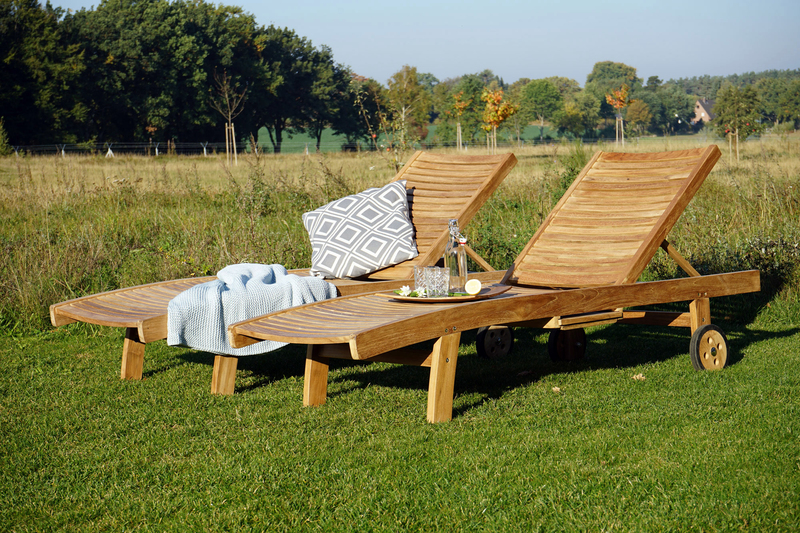 Ploß® teak garden furniture is made exclusively from responsibly cultivated plantation teak. In Indonesia, where we procure most of our high-quality teak products, the SVLK system ensures that only legal timber products are processed and exported. 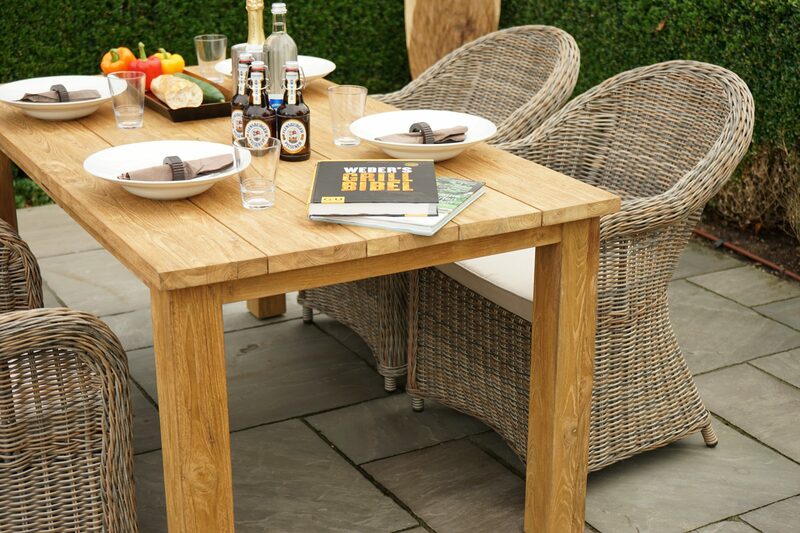 In addition to their SVLK certification, our garden furniture from recycled teak also usually bears the FSC® seal.